The corporate scenario is basically all about correspondence that needs to be acknowledged for purposes of formality and courtesy. 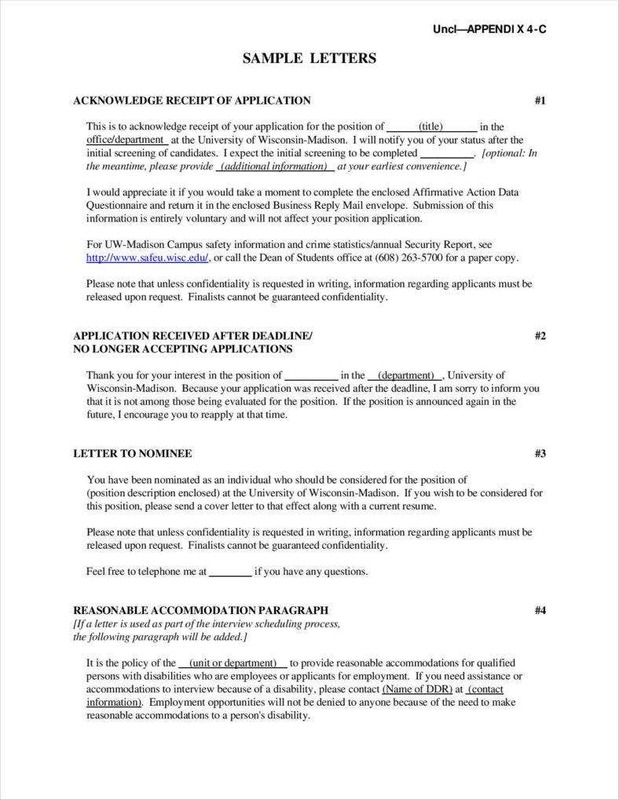 From job promotions, position appointments to applicant interviews, a job acknowledgment letter makes communication easy and convenient for both parties involved. 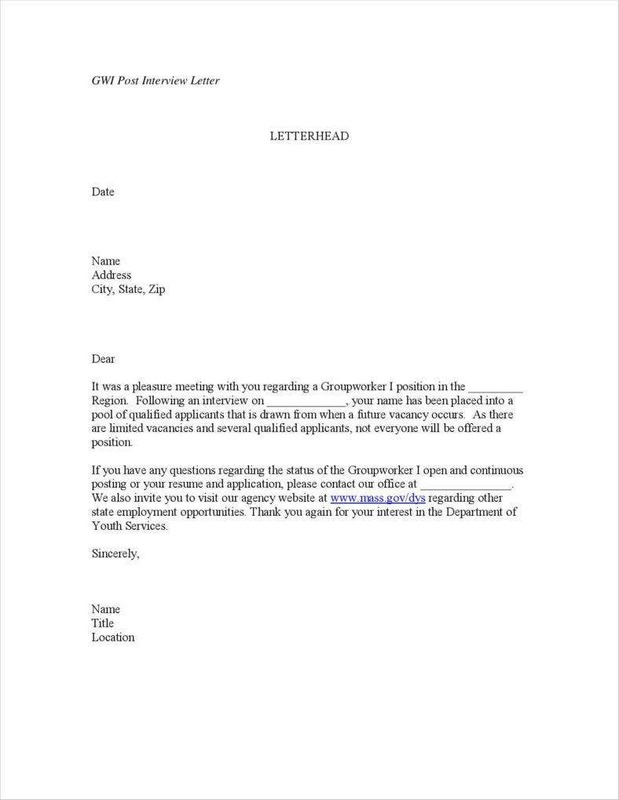 Such letter is meant to confirm or remind about company activities and other relevant endeavors to applicants. The same thing is true with applicants making good use of job acknowledgment letters to keep their prospective employers informed. Formal communication is most preferred and definitely possible with job acknowledgment letters. Once majors concerns and relevant subject matters are elaborated and put into writing, it would be much easier to validate and present information with utmost credibility. Generally, job acknowledgment letters exist for 2 major purposes. These are significant for both employers, employees, and applicants. Job offers and applications need to be acknowledged for documentation purposes as well as for identifying whether or not further procedures need to be done subsequent to any existing acknowledgment. The purpose of acknowledgment letters is specified into 2 major perspectives below. Handling and hiring of employees are to be taken care of under employer prerogatives. Distribution of information to new hires could be daunting if it weren’t for job acknowledgment letters. Companies often secure a separate letter template for each purpose. For this matter, job acknowledgment letters are instantly available to employers to make their hiring process easier. Employers could also simply acknowledge applications that are for evaluation and assessment through job acknowledgment letters. 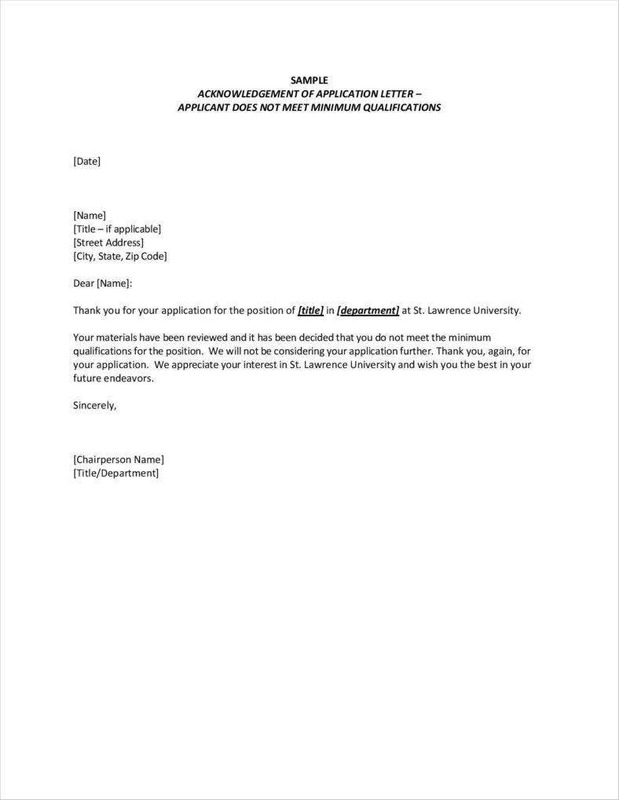 Should applicants get called in for an interview or for other relevant reasons, a job acknowledgment letter is useful enough to lay all the terms and conditions in a job offer. This could already make a good reference for an employer who wishes to enter into such an agreement, specifically with a prospective hire. In cases of job promotions and job offers, acknowledgment letters play a vital role for employees and applicants to communicate with their respective employers. Promotions are granted to employees and the only way to relay such information is through the use of job acknowledgment letters. 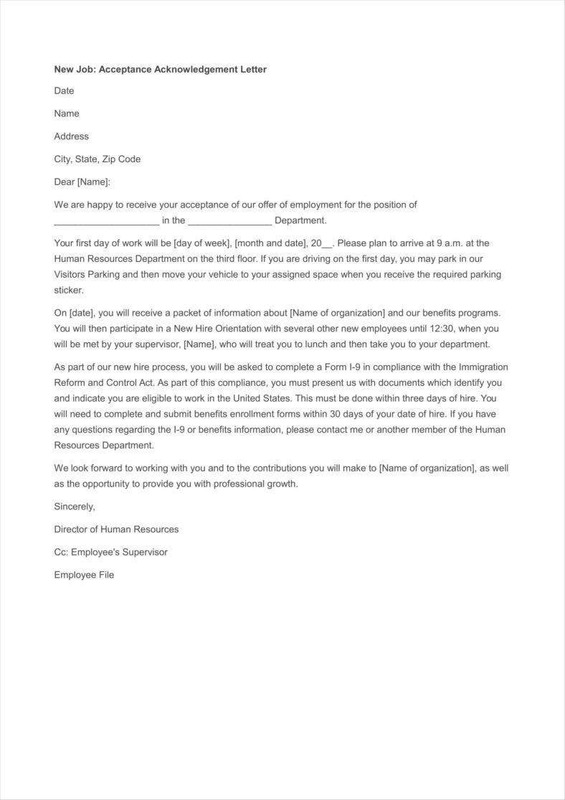 Special instructions regarding their job offers may possibly be given to applicants and this in itself would definitely need job acknowledgment letters for a more organized means of getting in touch. There are certain points to acknowledge in an employee and applicant’s perspective. They could acknowledge a promotion or a job offer with varied terms and conditions. 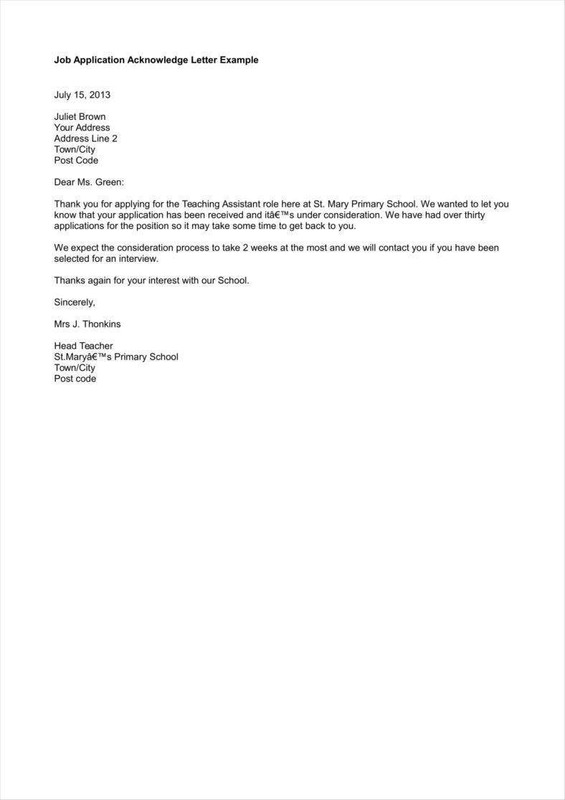 It is for this reason that acknowledgment letter templates are formatted according to its purpose. Depending on what it should acknowledge, the structure of this type of letter is varied, most especially in terms of writing the appropriate information needed in the letter. The purpose of job acknowledgment letters is not only limited to employer, employee, and applicant use. There may be possible special cases that would need acknowledgment letters which directly relates to jobs and other relevant matters. Anyone could make use of a job acknowledgment letter for formal purposes. However, most job acknowledgment letters may not be written and done right due to the number of letters that need to be delivered in any given circumstance. Its use is just as important as getting to know all of its elements before drafting one. The elements reflected below form part of writing an acknowledgment letter guideline that should be able to clearly discuss each element and shed light on how an efficient job acknowledgment letter should be prepared. Employers send job acknowledgment letters more than employees and applicants do. 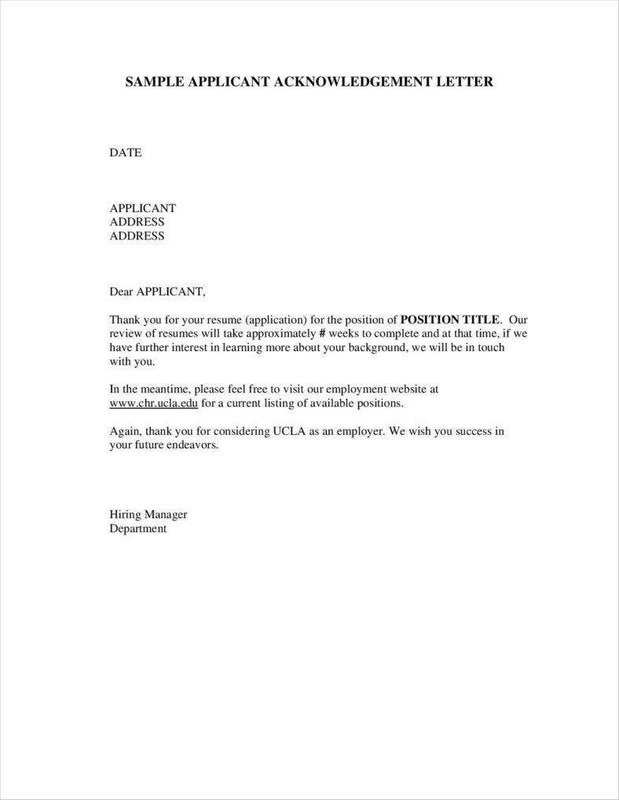 A letterhead could be a useful indication of companies sending out job acknowledgment letters to their prospective hires. Whether it’s a professional business letterhead or a casual and personalized one, a letterhead brings out the purpose of job acknowledgment letters as a whole. Although job acknowledgment letters may still be effective and functional without a letterhead, it cannot be denied that credibility is also relayed through a letterhead. It would also be a lot easier for a letter recipient to imply what a certain letter could be all about. The recipient of any acknowledgment letter should not be overlooked. This is an important element to which the content of the job acknowledgment letter is dependent upon. Either an employer, employee, or applicant may become the recipient of a job acknowledgment letter. Most importantly, it should always be indicated so as not to avoid confusion on the intention for purposes of acknowledgment. As generally observed in letter writing, an indication of a recipient is both a priority and a necessity. Job acknowledgment letters cannot be properly distributed to rightful recipients had it not been indicated in the job acknowledgment letter in the first place. Anything job related that needs to be acknowledged should be incorporated in an official acknowledgment statement. Every company would know what should be contained in their letter if they send out job acknowledgment letters for job promotions, hiring, and other job offers. This way, both parties would be able to easily identify the intent of the letter. 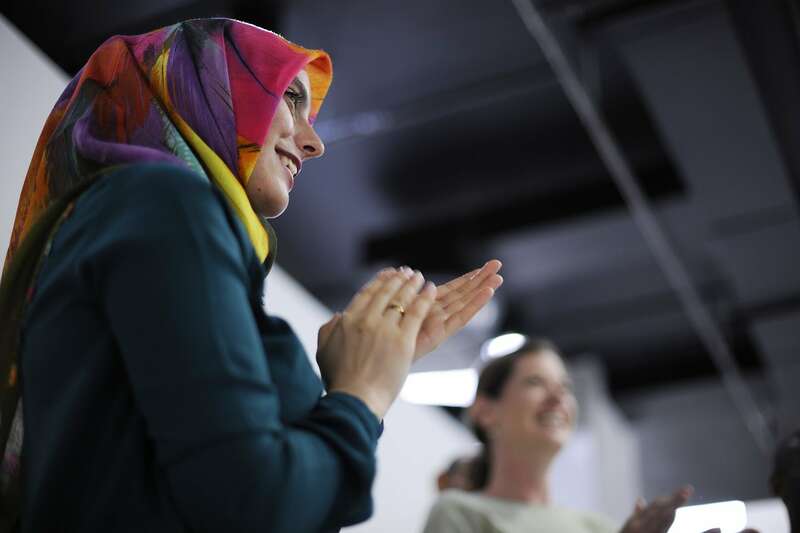 On the other hand, an employee for promotion or an applicant for a new position could also indicate an appropriate acknowledgment statement for their respective employer recipients to read. After all, the acknowledgment statement is the main reason why a job acknowledgment letter is identified that way. An enumeration of all the acknowledged information is an essential element in every professional job acknowledgment letter. Standard information should be embodied in every main part of the letter like terms and conditions for a job offer, stipulations of a job promotion, and more. Commonly, the specifics about a certain job position should be properly delivered in detail for better understanding. Employees and applicants in return could also do the same with their job acknowledgment letters. All the information are basically what employers also look into upon receiving such type of correspondence. Though not at all times necessary, special instructions might be needed subsequent to all the information provided. 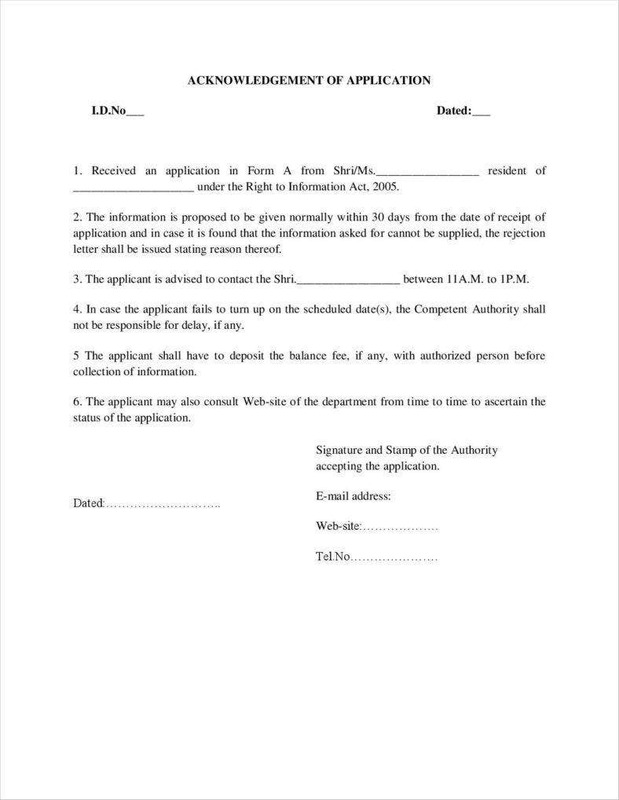 An efficient business acknowledgment letter or any job acknowledgment letter should also include special instructions as a pertinent element for completion. Be it instructions with regards to interview venue or perhaps employer directives, anyone who would refer to a job acknowledgment letter would be able to know how to go about and proceed with the instructions provided. Employees and applicants may also include requests and other instructions they could agree upon with their employee recipient. For as long as it is job-related and anything worth an official acknowledgment, it should be included in such a type of letter. All the elements provided above are a great help towards an efficient composition and drafting of job acknowledgment letters. 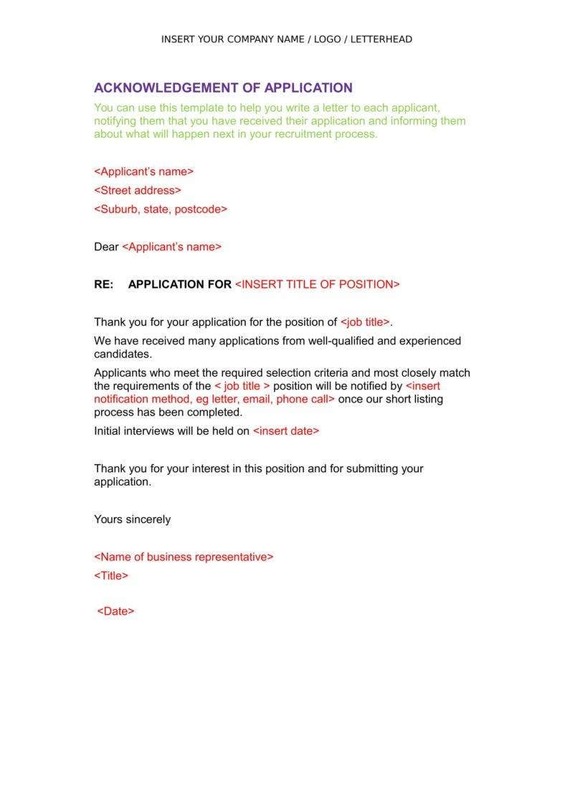 If you aim to send out job acknowledgment letters that are of high quality, you might want to start writing with all the elements in place to be able to effectively relay what is needed. 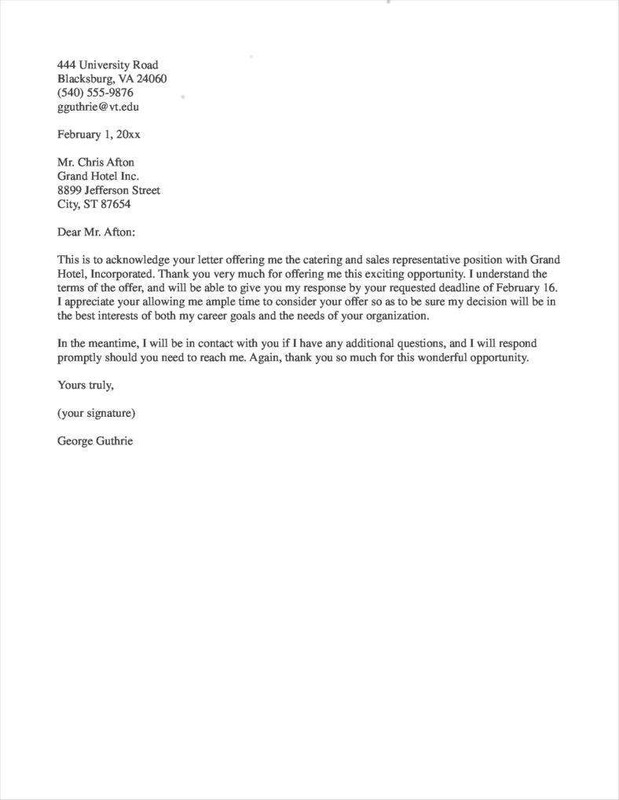 There are many ways to generate a professional job acknowledgment letter. With all the shortcuts of letter writing, it may be difficult to spot those well-written letters from those that are poorly written. To avoid compromising the letter content, you could be guided through some tips on how to write job acknowledgment letter. Consider a portion of a job acknowledgment letter as an appreciation letter to anyone you would send it to. 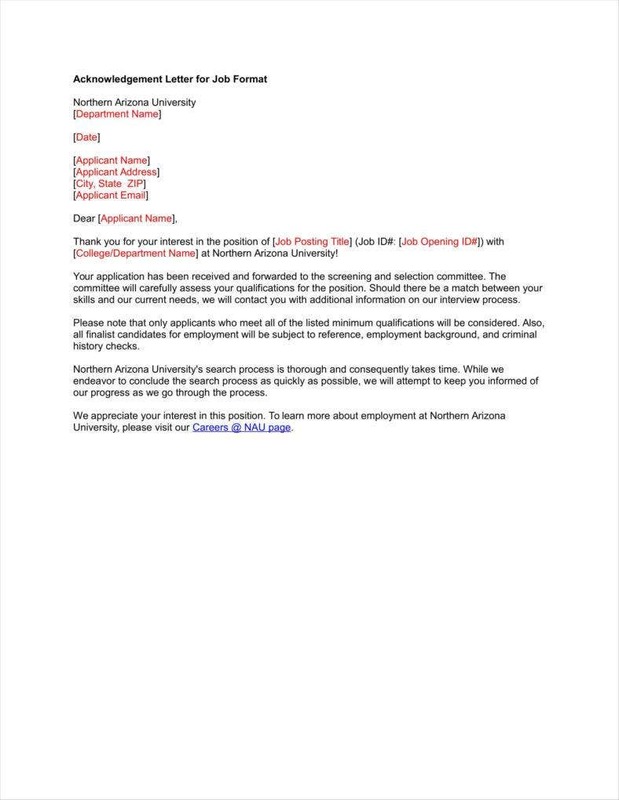 That could mean employers get to say words of appreciation and thanks through writing to their applicants should they grant an interview and approve of prospective hires. Create a job acknowledgment letter that is informative yet concise to avoid repetition of ideas and information to acknowledge. Use of relevant key words. It all depends on what one prefers to use as key words in any job acknowledgment letter. If an acknowledged job has something to do with a business agreement, the key words and phrases should be directly relevant to it in order to deliver such sentiments accurately. The gesture of sending out a job acknowledgment letter is an expression of gratitude in itself. To complement such a gesture, the same expression of gratitude could also be put into writing. Job acknowledgment letters are not only for acknowledging information and double-checking whether or not such information is accurate but also for acknowledging the appropriate action worth the job acknowledgment letter. Letters are easy to create just by looking at its format, structure, and overall content. However, it’s not always the case when you’re looking for quality and efficient job acknowledgment letters. You could either read through the elements carefully or simply just download job acknowledgment letter templates for faster and more efficient means of communication and correspondence.